Half square triangles are everywhere in quilting. Many times you are making lots of them in different color combos so you can't use the method of making eight at a time. Marking the diagonal on all those squares takes forever. I have an easy and quick way for you to make all those half square triangles and you only have to draw lines one time. The other day I shared a photo of my victory. I finished a seam and ran out of bobbin thread at the same time. In the photo you could see the tape I have on my machine and that was what everyone was asking about. I could have sworn I had done a post on it in the past but I hadn't. That piece of tape is what keeps me from drawing lines all the time for half square triangles or flippy corners. It's really simple to do. You need your cutting mat, rotary cutter, your favorite ruler with 1/4" marks, wide painter's tape, a permanent marker, and your seam ripper. That's all you need to start quickly making half square triangles for all of our quilts. Tear off a piece of tape about 5 inches or so. 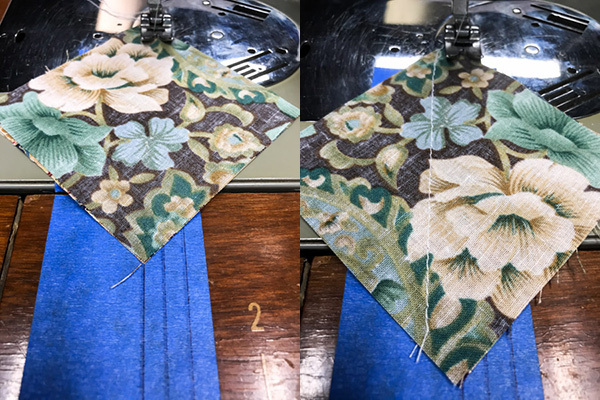 If your space for sewing is smaller than that of course tear off a smaller piece. Put it down on your cutting mat. 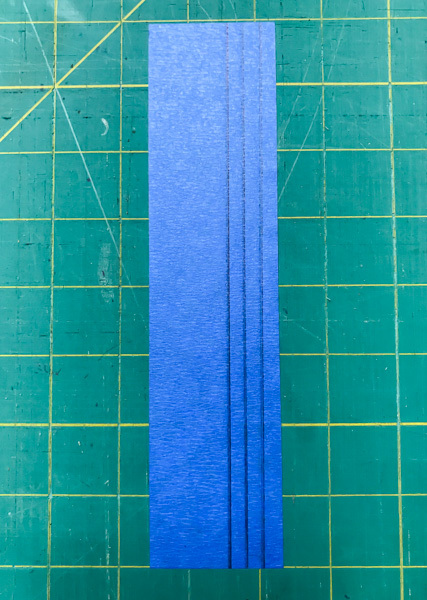 With your ruler mark lines 1/4" from the right side of the tape, 1/4" from that line, and a 1/4" from the second line. 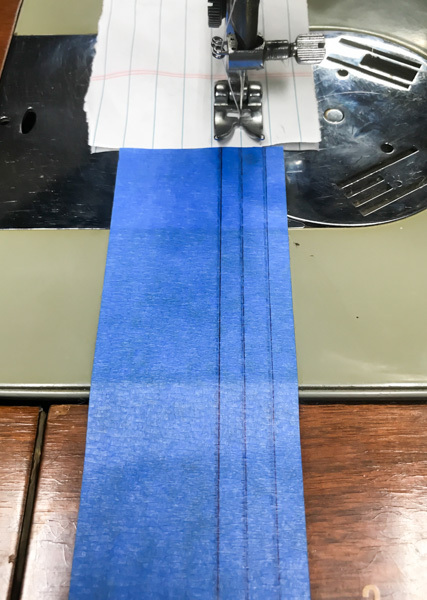 The sewing machines that I use don't have a seam guide on them so I use the edge of the tape as a 1/2" seam guide. 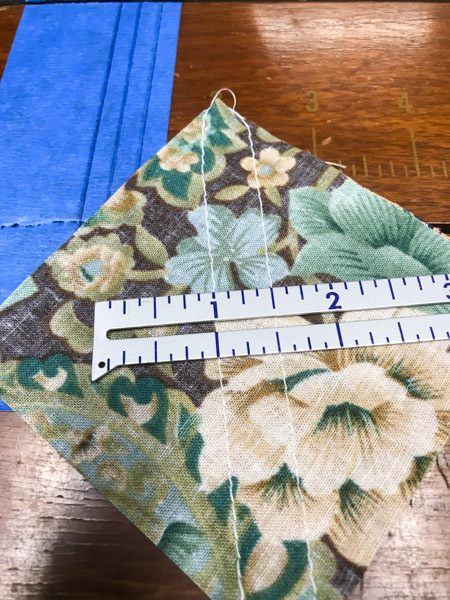 If I am doing something like home decor sewing I normally use a 1/2" seam. 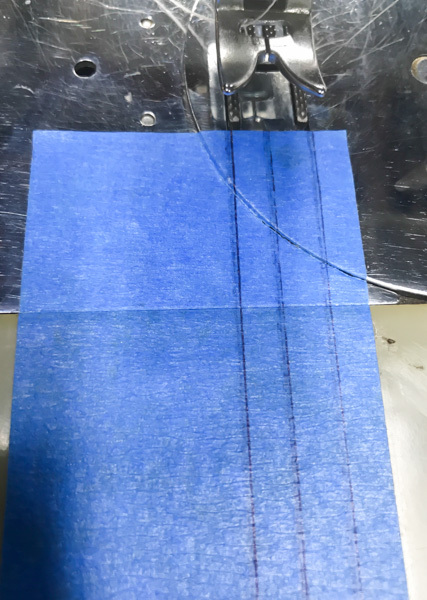 Once you have your lines drawn use your rotary cutter to make a straight edge at the top and bottom of the tape. 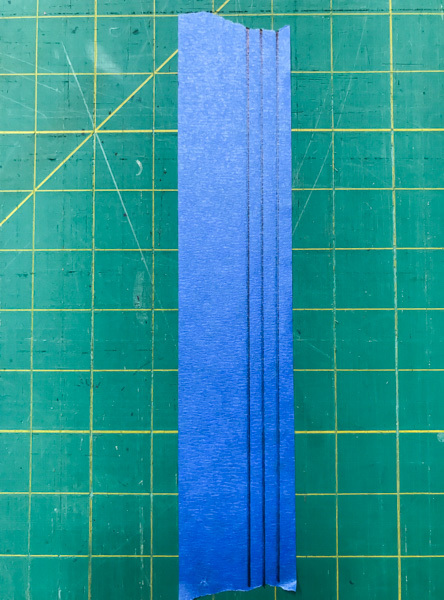 I use a scrap of notebook paper to help me get my tape lined up on my machine correctly. The second line we drew is where our needle is located. I line the straight edge of the paper at the end of the feed dog opening, we don't want to cover them with the tape. I put my needle down on one of the lines. 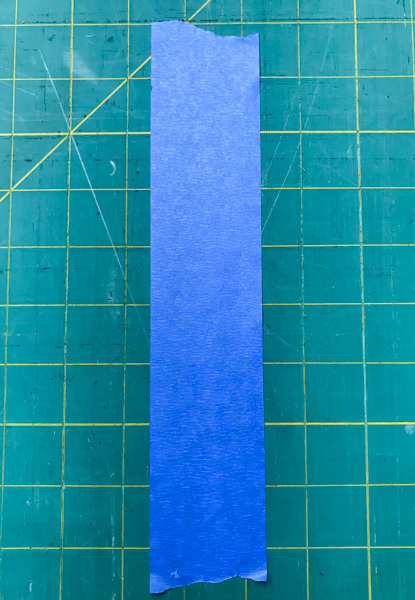 I line up the middle line of my tape with the line that my needle is in. Then smooth the tape out so it sticks down. No need to worry about hurting your finish, as long as it is relatively intact, that's why we are using painters tape. 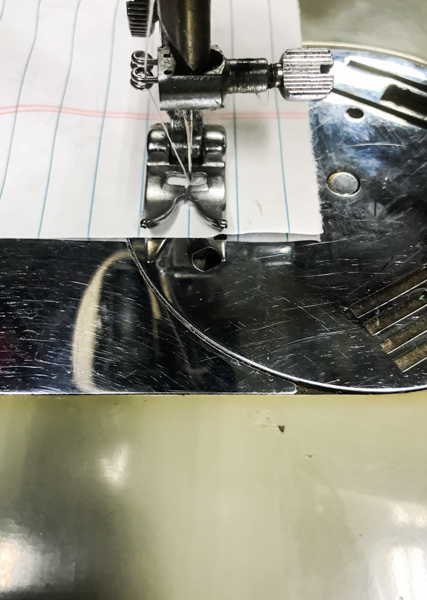 Once your tape is smoothed down use your seam ripper to score the tape so you can still slide open your bobbin cover, lift your machine up, etc. That's it. Sewing a half square triangle is super easy. Just line the points of the square up on the line 1/4" from the center line. When you finish you should have 1/2" between the two stitch lines. So no more drawing hundreds of diagonal lines for all of your half square triangles!!! You will have to replace your tape from time to time. 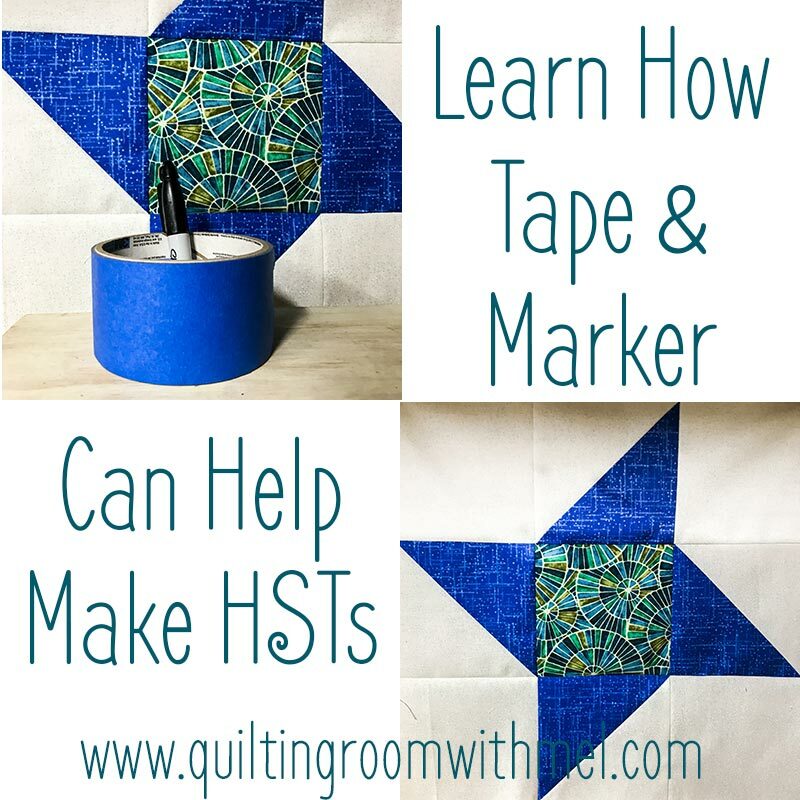 You can also use those lines as a seam guide for all of your quilt piecing. If you want more tips like this be sure to sign up for our newsletter so you never miss out on a blog post. It's also a great way to learn more about what is going on in The Quilting Room before anyone else.